English sports fans don’t have to wait that long for one of the nation’s favourite games to come home. In May 2019, England will host the Cricket World Cup. 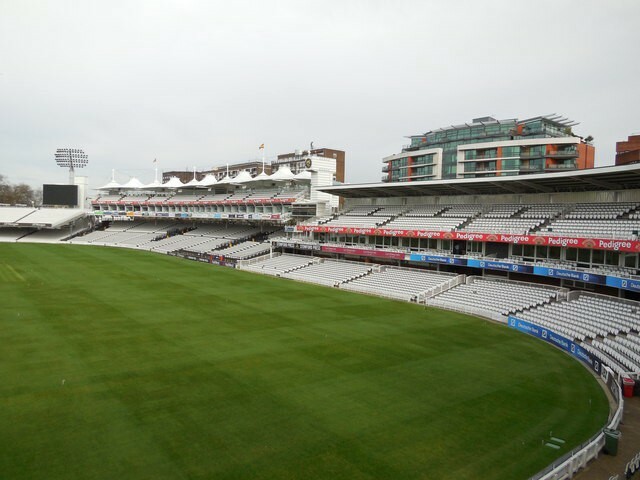 Lord’s would host the first ever Cricket World Cup Final. In this new series, I’m going through the history of every single Cricket World Cup to date. Despite the sport having a long history dating back centuries, its premier world championship is just 43 years old. This comes from the fact One-Day Internationals are still a young invention with the first 130-odd years of international cricket being exclusively Test and First Class matches without Limited Overs. With Test matches taking 5 days at a time, it was never logistically possible to organise a World Championship in Test format. Even the ICC’s new red ball championship will take a two year cycle to complete. International cricket was first played in September 1844. Canada beat a United States side by 23 runs in a three-day match at the St. George’s Cricket Club in New York City. St. George’s had traveled to Toronto four years previously to play the cricket club there but despite a tough journey, it transpired the man who invited them — Mr Phillpotts could not be found. The Canadians did not expect the New Yorkers but still were able to arrange a game for the inconvenience and four years later, the Canadian international team were invited down to New York for the first ever international match. St. George’s would host the first ever international match. The first ever Test match was played in March 1877 with Australia beating a touring England side by 45 runs at the MCG. England would win a second test, tieing the series at 1–1. Cricket had been scheduled to be the only team sport at the 1896 Olympic Games in Athens but the tournament was cancelled due to a lack of entries. The sport, the world’s second most popular, was included four years later in Paris. However, it only featured France, the hosts and Great Britain. The French team was mostly made up of Englishmen living on the other side of The Channel and Great Britain were represented by Devon & Somerset Wanderers Cricket Club. The two-day twelve-a-side game was won by the Great Britain who possessed two men who had played First Class cricket for Somerset by 158 runs. A tournament planned for the 1904 games in St. Louis was cancelled leaving this encounter at Vélodrome de Vincennes as the only cricket match at the Olympic Games. The next formal international cricket competition would come in 1912. South Africa had been awarded Test status in 1889 and were invited to England for a triangular tournament with the hosts and Australia, making this the only time The Ashes featured a country other than England and The Aussies. The plan was for the tournament to be played every four years having been proposed at an ICC meeting in 1909, but this was to be the wettest English summer since records begin leading to a poor series with low attendances. South Africa did not win a single game as England won the urn. The tournament was not to be organised again. 63 years would pass before the next international cricket tournament involving more than two sides outside of minor regional tournaments. In 1951, an Indian cup competition saw the first ever one-day game. 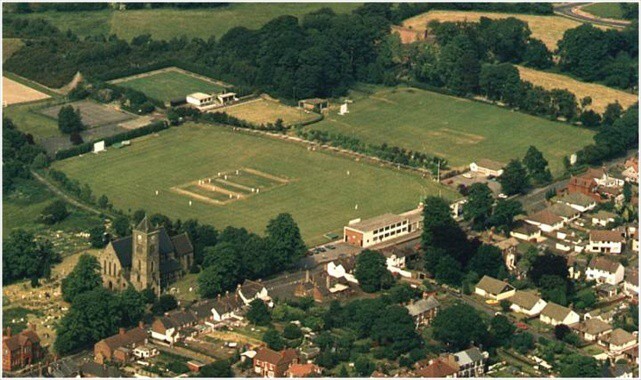 In the 1960s, English county sides began playing Limited Overs cricket. These games proved popular with crowds and in 1971, England and Australia met again for the first One Day international, in Melbourne. Early one-day matches ranged from 40 to 65 overs with no defined set of overs per game. The first ODI international saw Australia beat England by five wickets. The game was never actually meant to be played, it was the fifth day of a cancelled third Ashes test with the game arranged to satisfy supporters. The game saw 40 eight-ball overs. The MCG hosted the first ever ODI having hosted the first ever Test match 94 years previously. The success of the new format around the world and in internationals led the ICC to organise the first Cricket World Cup in 1975. England were the only country able to financially and logistically host such a tournament. Internationally, Test nations had only played 18 ODI internationals by this point and the games were 60–overs played in whites and using red balls. England qualified automatically as hosts. The five other Test nations at the time — India, Australia, West Indies, Pakistan and New Zealand also automatically qualified. South Africa were banned from international competition due to apartheid. In addition, Sri Lanka and East Africa (Kenya, Uganda, Tanzania and Zambia) were invited to compete as well. It was the East Africans only World Cup appearance. Lord’s, The Oval, Edgbaston, Trent Bridge, Old Trafford and Headingley all hosted matches. Two groups of four were followed by a semi-final and final. In the opening game, England beat India by 202 runs at Lord’s. Dennis Amiss’s score of 137 at that game was not bettered by an English batsman until 2011 when Andrew Strauss hit 158 against the same opposition. In Group A, England would win all three games and East Africa would lose all three. In the last group game, an effective decider between India and New Zealand at Old Trafford, the Kiwis won by four wickets. Glen Turner hit 114 not out, his second century of the group stage after hitting 171 against East Africa. With 333 runs in total, he was the leading run scorer in the inaugural tournament. Australia, the side with the most World Cups to the name began life with a 73 run victory over Pakistan in Leeds, followed by a 52 run victory over Sri Lanka at The Oval. Alan Turner with 101, scored the first Aussie century of the tournament in that game. However, with West Indies beating Sri Lanka by 9 wickets (it took them just 20.1 overs to chase their target of 86 after bowling out the Sri Lankans in 37.2 overs) and Pakistan by 1 wicket in Birmingham with just two balls remaining it set up a group decider at The Oval. The Windies would win by seven wickets having bowled the Aussies out for 192 in 53.4 overs. Ross Edward’s 58 was highest Australia score. Headingley would host the first semi-final, the first World Cup meeting between England and Australia. Australia would win in Leeds for the second time in the tournament, with Gary Gilmour giving the best bowling performance in World Cup history. England were bowled out for 93 in 36.2 overs. Gilmour took six wickets and gave away just 14 runs. He would then score 28 runs not out from as many balls as his side won by 4 wickets in less than half the alloted overs. When New Zealand opened against the West Indies at The Oval, they initially started off well with the score at 98/1 but the devastating West Indies took the next nine wickets and gave away just 60 runs. The NZ side got 158 runs from for 52.2 overs. It took Windies just 40.1 overs to reach their target, losing just five wickets. A 125 run partnership from Kallicharan and Greenidge securing the win. On the 21st June 1975, Ian Chappell and Clive Lloyd led out two sides for the first ever World Cup Final. Australia won the toss and choose to bat second, with Chappell viewing conditions as best suiting for a bowler. Gilmour who did not take a single wicket in the group stage would take five in the final, making his total of 11 the best in the tournament. Player of the match Lloyd would hit 102 of 85 balls. Lloyd came in at a point where his side were struggling at 50/3. Roy Fredericks had hooked a shot for six but lost his balance and hit his own wicket resulting in an out. Lloyd would be partnered by Rohan Kanhal playing his final international. Kanhal did not score for 11 overs as Lloyd hit 12 fours and two sixes but his 55 was a vital contribution and the lower order batsmen were able to see out the innings at 291/8. Chappell’s decision to bat second looked to have played dividends with Australia up 80/1 after 20 overs with Chappell and Turner at the crease. Three run-outs from the excellent Viv Richards followed. He took Turner number four Greg Chappell from direct hits and despite Australia stabilising he also took their captain of the bowling of his own captain. Dennis Lillee and Jeff Thomson found themselves as the last men in requiring 59 of seven overs. With three overs left, Lillee hit a no-ball into Fredericks who caught the ball. Many fans had not spotted the no-ball and charged onto the pitch, Lillee and Thomson decided to run with the ball being lost in the crowd. The umpires gave two runs, later up to three after an appeal. The Aussies would end 17 short of their target with 8 balls left, ending with 274. The West Indies would thus be cricket’s first ever world champions. A Player of the Series award was not given out. 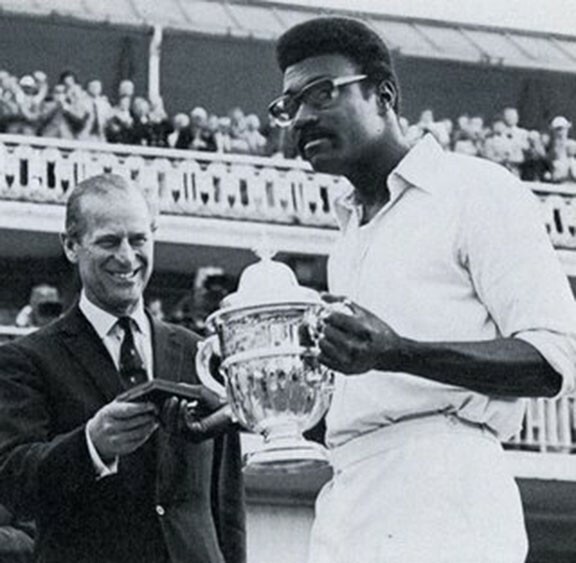 Lloyd is given the trophy by the Duke of Edinburgh.